Your car can cause you a lot of problems that you may not even consider. From your car breaking down in the middle of the forest to locking yourself out, it can all happen at any time. That is why you need to be prepared. If you are taking a nice night drive through a beautiful natural area and your car suddenly decides to quit running, you are going to want to be prepared. Even if your cell phone works, allowing you to call a tow truck, you will want to make sure you have a few items in case you are stuck there for a while. Having water in your car is always a good idea, and when you are stranded, you will love yourself for having water stored in your vehicle. Make sure you keep bottles of water, or a gallon, in your car at all times, you never know when it will come in handy. Keeping a blanket, jacket, and other warm clothing is important, especially as the weather gets colder. If you have to get out of the car, you will want to be prepared and stay warm. Other essentials for your car can include a flashlight, first aid kit, map, cell phone charger, and if you are always hungry, some snacks. 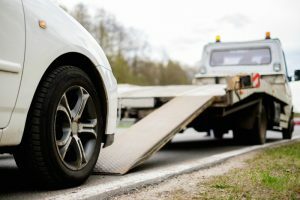 Your car breaking down is never planned, but you should plan on being prepared. If you get to your car after a nice walk through the woods, only to find that you have locked yourself out, the items in your car won’t help. Before you leave your car, be sure to take out your phone, wallet, and whatever else you may need before shutting the door. If it is cold out, make sure you have your warm clothes before stepping out of your car. You hate to find yourself in a snow storm without a jacket and gloves! Having your phone will allow you to call 24/7 Emergency Locksmith. We will come to you and help you get in your car or make you a new key if your keys are nowhere to be found. If you have your wallet and are close to businesses, you can walk there and wait for us to arrive, but don’t get too comfortable, we will be there faster than you may think! Call 24/7 Emergency Locksmith for all of your key and lock needs, we can come to you and help you get on your way quickly.